Look at this mini-poster of 60 creative behaviors that support mathematics. Here is the same list in plain text. Recall an example of your child doing something from this list - either in mathematics, or in another context. In hindsight, what would have been a good way for you to support this creativity? In Breakpoint and Beyond, George Land and Beth Jarman describe a longitudinal study they conducted on 1,600 kindergarten children ages three to five. They gave them eight tests on divergent thinking and an astonishing 98% of the children scored within the creative genius category. The researchers repeated the tests in five and ten years and separately tested adults. It gets worse and worse with time: only 2% of adults score at creative genius level. The good news is that grown-ups can collaborate with kids. There are quite a few tasks children do better than adults, especially when adults support them. Other tasks adults do better than children, but even then adults can benefit from inspiration and prompts from children. In a harmonious learning environment, adults and children play complementary roles. Can young children really understand advanced math concepts? We believe that to be understood, a math concept (and pretty much anything else in life) has to be well-explained. The key is to search for age-appropriate explanations of advanced math concepts. For young children, the most appropriate explanation is through hands-on exploration and free play. This means we need to find physical objects to represent mathematical concepts. But these should be objects that do not require prior knowledge to be played with. We call such objects and activities around them “grounded”. Grounded activities lower the risk of math anxiety. Plus, by selecting “no prerequisites required” activities, you avoid the “snowball effect” of sequential, prerequisite-filled learning. 1. Find an example of a child’s creative behavior. 2. Do we have your example in our list of 60 behaviors, or should we add it? 3. How can grown-ups support the child in your example? My older kids like to build. My 7 years old son is a building maniac. He likes to build things in accordance with instruction booklets( Lego, K'Nex etc) but then tries to modify them looking for more sufficiently working designs. Several times he found mistakes in building diagrams of manuals, corrected them and was very satisfied with the perfectly working models. My oldest daughter likes to design and create. She uses Scratch program to design her futuristic Tiger Land. We do more than a half of the listed activities. Kids love puzzles( my son has an ability to rotate puzzle pieces in his mind and just let you know which piece goes where), board games(Clue, Ticket to Ride etc), challenging problems and many more things which can tease their minds. As a supporting parent I try to provide them with activities utilizing TRIZ concepts and nurture their desire to become creative thinkers. Currently, my child's favorite on this list would be #43, specifically around Minecraft. We support him by playing with him, and getting him to show us what he has been building. Another area that has been fun has been the hallway chalkboard. It is a space for playing with numbers. One game has been adding and subtracting really ridiculously long numbers, just for the fun of it, because he thinks it is so cool that he can do math that is in the millions and billions and on. So, maintaiing that chalkboard as a place to play is another one. I absolutely in love with the ideas so TRIZ, especially the ideal system (an absent system) idea. I am always surprised to see how my toddler finds the ways to incorporate different object into ideal systems. 1. She made her a seating spot out of a plastic box, so she can watch me more comfortable everywhere. It is very easy to take with her. 2. 38 I think, though i just realized that her box idea is not math. Though she hasn't had music class outside of school, my girl (6) loves music. During some of the (many) snow days we had, she spent time writing songs (including the music for them), and "playing" them on the guitar. She played around a lot with the rhythms - we just gave her lots of space and let her work. It can be difficult to give that kind of time, but the snow days were perfect for just letting her explore. He has special Edu. Needs. He has an analytical mind and needs to see and do to believe. Finds paper folding relaxing. Enjoys nature and anything factual and /or unusual. Got him to read books and watch online movies about origami. Stwrted very simply-planes, but is starting to make more complex 3D creations. It has been a pleasure to see the interesting shapes and patterns he is starting to make. She is so creative it is tough to pick out just one example. One really neat way she just started is writing her own songs/tunes and writing down the patterns in a way she understands so she can play the same tune/music over and over again. She doesn't read music and hasn't been to a music class outside of the music they teach in her 1st grade class so she doesn't have formal education surrounding it but she has come up with a way that works for her. It is fascinating to see. @charlotte.mazur - can you photograph and attach here a sample of your daughter's music notation? Sounds fascinating! Glad you are not trying to replace it with the traditional notation right away. Designing your own symbols develops the mind, and it is a staple of their work for both scientists and artists! 2. Please add it, probably. I have a 3 year old and we are currently in the stage of asking why about everything. I have found that as I answer each "why" eventually we each a point where she is satisfied with the explanation. I just have to sometimes remind myself when I'm hearing why for the hundredth time in a day it is for a good reason. This is her way of learning and making sense of this big world around her. If I may, just a tip that you probably already know. Eventually you'll get questions that you can not answer; don't panic! Make it a learning experience by saying, "I don't know, but we can find out." You might go to the library for a book, visit someone who knows the answer, etc., etc. When my kids ask just "Why? ", I say "Ask a more specific question." It makes them think on their own a little and keeps me from losing my mind. I feel like plain old "Why?" is lazy. I agree with both of these points. Thank you for sharing. I had never thought of why as lazy but I like that perspective, especially for older children. Now that my son is approaching six years old, I can see the long-term benefit of getting him to ask more specific questions. He's also a child that is very focused on getting the right answer, so I've been responding with "I'm not sure let's explore" a lot more then I used to. Then we try to come up with different ways to do a task or different ways to look at the question. By taking this approach I try to focus more on the process then the importance of finding a right answer-that can come later. Yeah -- I'm a scientist, and I think there's generally way too much focus on "science facts", memorizing things and getting the "right" answer. Definitely NOT good training for actual scientific research (in which you need comfort with ambiguity, uncertainty, being wrong and screwing up!) I'd much rather my kids practice coming up with ideas on their own, considering alternatives, and, when possible finding a way to test or at least explore their ideas. Encouraging kids to think there's one right answer is counterproductive -- and also gives the impression that science is all figured out and they should look to an authority figure (or text) for the answers. My favorite technique to encourage critical thinking is to give them an answer that is clearly ridiculous...then they say, "No! It's [more likely answer]". This ensures they really evaluate everything I say to see if I'm pulling their leg. number (*I picked up this suggestion from someone else in this forum). He said I added them together. We did the addition together and when we got to 28 (7+7+7+7) he explained that he missed one seven when he did it and got $7 so thought that was the answer. So, I rephrased the question and asked, "if four 7's equals $28, do you think I spent more than or less than $7 per ticket?" He said less, paused and then said $5 because two 10's is 20 and two 5's is ten. And there are books to train analogies (for acing GATE tests!). But many of the other books on "critical thinking" turn out to be books promoting Creationism! (who knew?) I just went to a seminar about reading skills in the common core, and really its all about critical thinking. Main take home was encourage kids to read nonfiction, ask questions and insist they point to evidence in the text to support it. Even have them annotate text to find evidence (ie, underline, circle, make notes). I like your desc of your kid figuring out the math -- so fun to see the gears turning! Like you said, its all about focusing on the process, not product. @CynthiaDadmun Thank you so much for the book suggestion. Always love a good recommendation for a read. I just ordered a bunch for promoting creative thinking. You referred GATE tests. What are they? Oh that's the acronym for Gifted And Talented Education here -- I think it's funny that the main incentive for parents to teach their kids logic is to ace the entry tests for gifted programs, which I believe are basically IQ tests with analogies of various kinds. You'd think logic and critical thinking would be a priority just because! For a second there, I thought your "mutation" link led to a unicorn. 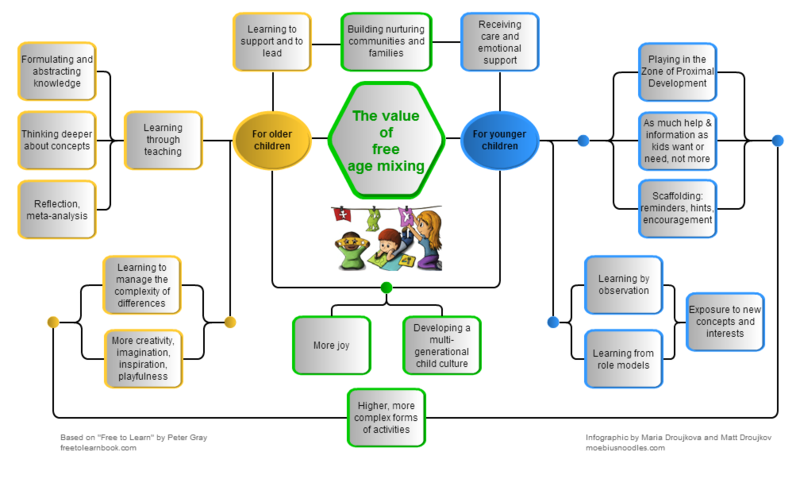 BTW – I know and embrace "The Value of Free Age Mixing" as a main principle of Maria Montessori. Best! My son is three years old and loves to sort color, shapes and patterns. I found that puzzles really help him develop these skills. At first he spent his time learning what the puzzle was all about and what it means for a piece to "fit" with another. In one sitting he seemed to develop a real sense of these concepts and then just took off from there. Once he understood the rules of puzzle making and the ways in which the shapes fit together, he could make a puzzle. I think the same will apply as he learns mathematics. I just need to give him time to get settled and understand the basic structure and pattern to any system he is analyzing. One of my children really enjoys making sculptures from our clean trash. I support his habit by providing materials, space, and allowing enough free time in his schedule. I also affirm his projects. Another child plays a lot of pretend. I could support this better by providing more little animals and some dedicated props. I could also spend time playing with her. I am intrigued by the idea of adult child collaboration, and am looking forward to pursuing that idea further. My daughters create "mash-ups" of songs - take one line from one song, one from another, and add a little bit of their own - with consideration for how the phrases fit together musically. This fits with #37 in a way. I believe the grown-up support depends on the child. I did a research study on this, actually - adult behaviors that enhance or inhibit children's musical play. For some children eye contact, encouragement, and interest was supportive, but for others it shut down their play. My 7-year-old blooms creatively under adult interest and affirmation; my 2-year-old seems to thrive with her sister's presence or that of a peer. My 3 year old loves singing and has recently started making up her own songs including new words to tunes she already knows, and new tunes to words from other songs she knows, as well as totally original songs. She particularly loves making up tunes just singing numbers, which is quite fascinating! This activity covers numbers 11(listen to music), 27 (tell stories about problems, as often she sings about either real or imagined issues "what shall we do?" "how shall we do it?" "how can we find it?" etc! ), 28 (pretend play), 32 (do more of what makes you happy), possibly even 38 (make a new thing from old parts?) and 55 (represent a concept). 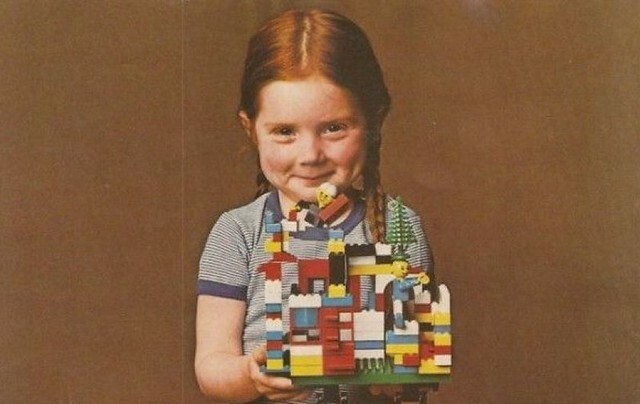 As adults we can support her in this activity by giving her the space and time to create and develop her ideas, try not to interrupt the creation (unless she obviously is needing some interaction) and encouraging her to continue developing her new ideas. Allowing her time to hear more new music, singing new songs with her (when allowed...most of the time I'm told "no mummy, not you, just me" ...I didn't think my singing was that bad!) and perhaps reflect back the ideas she has come up with so that she can see that they were interesting to others and successful. These are all things that I try to do but this is a useful exercise to remind me to spend more time allowing her the freedom to be creative when the mood takes her ( for whatever creative thing she is doing, not just this specific one) not interrupting and cutting it short when I am not in the mood or feel I am too busy to listen. This was also an interesting exercise in that it shows how many different skills and creative processes can be involved in just one single activity...it's not just a 3 year old making a lot of noise, she is actually learning and developing and being creative in many different ways every time she does this. Sometimes as adults I think we lose sight of this. My daughter likes to imagine people living parallel lives. She writes short stories about this and illustrates them...number 55 on the list. A grown up can support her by giving her the materials she needs to get the job done, as well as plenty of uninterrupted time to complete her mission. This is a wonderful exercise for me. I feel like my kids do a lot of creative activities. I do not feel like I do a good job supporting or capitalizing on these activities. Sometimes...I'm pretty sure I'm hindering things. Some recent creative thinking that comes to mind from my 7,5, and 4 year olds. 1. Son looking at speedometer on the way home, "Mom, if we are going 65 mph, can we figure out the car's newtons?" 2. Making a simulation of the watercycle in Minecraft. 3. Creating a variety of pirate paraphernalia from leftover pvc parts from sprinkler project. 4. "Mom, I'll bet I could figure out the area of this space that my swinging is taking up now that I know about pi." I didn't really follow up with any of them. Often times I don't have the math or science knowledge at the top of my head. Then it seems like it is so far removed by the time I get around or start to get around to it. I think I can use some things on the list to extend things out and provide myself more motivation and accountability. Like," can you make me a model of the car, so we can use it to see if we can figure out how Newton's since we know the car's speed and mass?" Or get some sticks and string and ask the same about the swinging. It will clue me into which questions they are really interested in, and help motivate me to figure it out since they've put the extra effort. Hopefully after doing courses like this maybe I can better the frequency and quality of my responses to their interests. In general, we aspire to include a lot of #32 Do More of What Makes You Happy in our home - and this question was a good reminder of how we can all engage in helping each other achieve that goal. As a teen with learning disablitys I find that 8,10,11, and 15 all help me out a lot. My son just turned seven and has been taking guitar lessons for a few months. I have been told that this is young to be starting. Like someone posted earlier, play an instrument is not on the list. At first, I had him taught in the traditional, learn a note, chords, and songs from the beginner guitar books. This was killing his desire to play the guitar. He started because he wanted to make his own music. So, we changed our approach, instead of practicing other peoples songs, the teacher will teach him chords that work well together and his job is to make his music. He now includes "bongo drums" which means that he flips his guitar over and taps on the back of it or any other part of the guitar that suits his fancy.